Side-scroller developed by Capybara Games. Cartoon Network announced an early 2018 release window and debuted the first trailer for OK K.O.! Let’s Play Heroes, the March-announced PlayStation 4, Xbox One, and PC (Steam) game based on its OK K.O.! Let’s Be Heroes TV show, for which the company also confirmed a second season will premiere in 2018. Developed by Capybara Games and written in collaboration with OK K.O.! 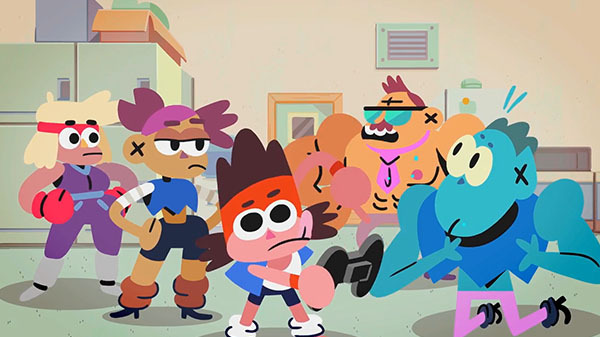 series creator Jones-Quartey, OK K.O.! Let’s Play Heroes features a mix of side-scrolling action and RPG elements, and includes many familiar characters from the TV show. The story sees K.O. tasked with securing his place as a true hero after Lord Boxman resets the card levels of every hero in Lakewood Plaza. Players will battle against Lord Boxman’s evil robot army, explore the mall to find and complete quests, and level up special POW cards for new abilities.